The October fires in Northern California were some of the most destructive in the state's history. 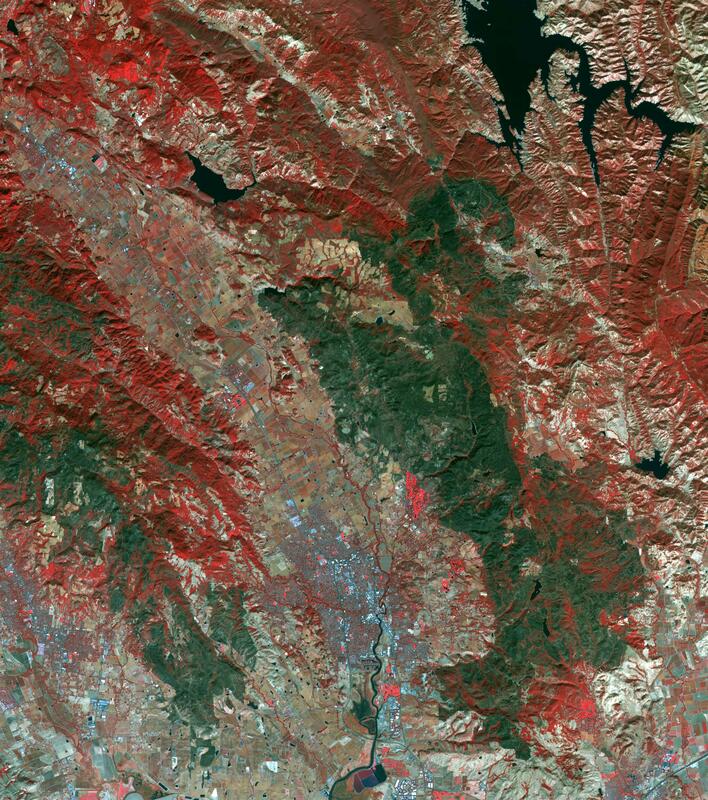 The burned area on the right side of the image is the ATLAS fire, that burned east of Napa; the fire consumed 51,000 acres and destroyed almost 500 structures. The burned area on the left is part of the Nuns fire that burned between Sonoma and Napa; it consumed 110,000 acres, and destroyed almost 7,000 structures. The images were acquired September 7, 2016 and October 28, 2017, cover an area of 34.5 by 39 kilometers, and are located near 38.3 degrees north, 122.3 degrees east.